Early in 2005 Daniel Fowler-Prime of The Independent Horse, working with The Company of Horsemen and Matt Smith from Air Jam of Newquay, were the first in the world to tow a kite board behind a horse. This was the birth of horse surfing. In the summer of that year the Daily Mail printed one of our pictures. 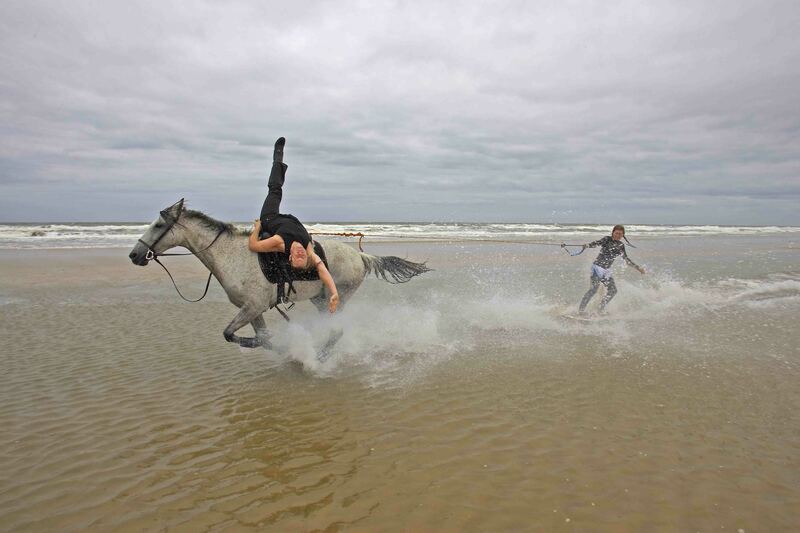 Since then The Independent Horse has become the worlds leading horse surfing team gaining recognition from Australia and Taiwan to America and the Middle East. Over recent years the team has continued to push the limits and break new ground with world firsts. They were the first and only team in the world to trick ride and tow at the same time. 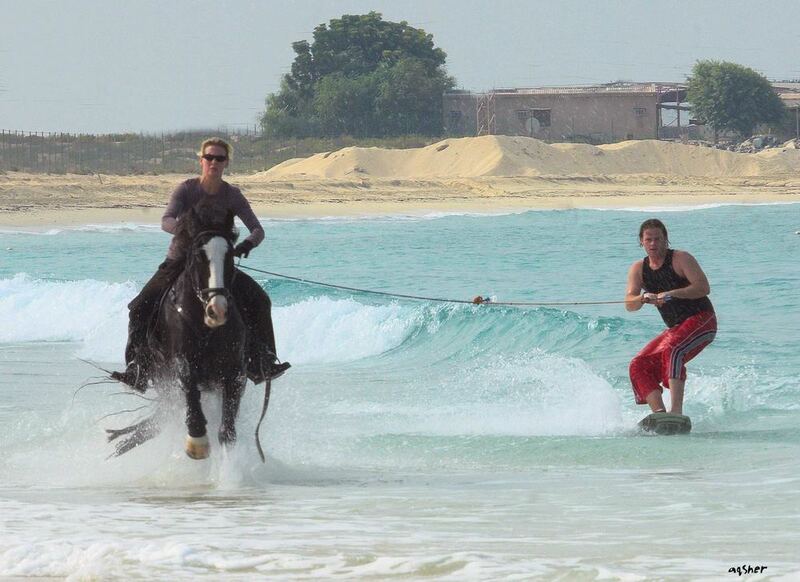 Horse surfing - Dan and Sam pushing the limits.